Pasteur’s Quadrant (Stokes, 1997) illuminates the potential for research programs to simultaneously pursue advances in both understanding and use. Yet, efforts to realize this potential face an array of challenges. Looking across several programs of research on health behavior change, I examine how we have pursued linkages between theory and interventions; reflect on the disconnect between our theories and our interventions that, too often, constrain these pursuits; and explore how efforts to optimize the design and delivery of interventions to promote healthy behavior can facilitate advances in psychological science. Alex Rothman (PhD, Yale University) is a Professor in the Department of Psychology, University of Minnesota. From 2011-2016, he served as the Associate Dean for Research and Graduate Programs. 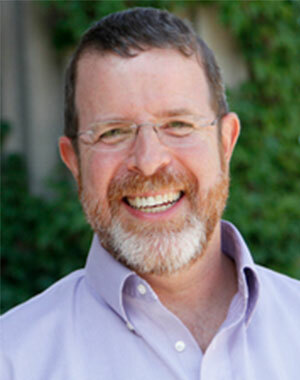 Dr. Rothman’s primary program of research concerns the application of social psychological theory to illness prevention and health promotion and is comprised of a synthesis of basic research on how people process and respond to health information with the development and evaluation of theory-based interventions to promote healthy behavior. Working across a broad array of health domains, Dr. Rothman and his colleagues have addressed a range of issues including why and when different health communication strategies are most effective, the decision processes that underlie the initiation and maintenance of behavior change, how interpersonal processes shape health beliefs and health behavior change, and the development of strategies for optimizing the integration of theory and practice. Dr. Rothman received the APA 2002 Distinguished Scientific Award for Early Career Contribution to Psychology in the area of Health Psychology and is a fellow of the Society for Health Psychology (APA), the European Health Psychology Society, the Association of Psychological Science, the Society of Personality and Social Psychology, and the Society of Behavioral Medicine. He is the founding President of the Social Personality and Heath Network and recently completed a term as President of the Society for Health Psychology (APA). Dr. Rothman has served as Associate Editor of Health Psychology Review and as a co-editor of several special issues, including one in Health Psychology on theoretical innovations in social and personality psychology and their implications for health. Throughout his career, Dr. Rothman has been a leading advocate for forging tighter linkages between theories of health behavior and intervention practices and policies. He has been involved in a range of NIH-initiatives including having co-led the NCI/NIH-sponsored Advanced Training Institute on Health Behavior Theory since its inception in 2004 and is currently co-chairing the NCI Cognitive, Affective, and Social Processes in Health Workgroup, and the NHLBI/NIH Accumulating Data to Optimally Predict Obesity Treatment (ADOPT) Core Measures Project.